How Far is Provident Welworth? Provident Welworth, a residential project located in Bangalore, developed by Provident Housing Limited. This project offers luxurious yet affordable 3BHK apartments for sale in Yelahanka. The size of 3BHK apartments is 1075 Sq ft. Blending comfort and natural beauty, this project is ideal for investment in Bangalore city. You can spend quality time with your dear ones in this carefully crafted home. This project offers ready to occupy apartments at an affordable price, it is an award-winning project spread across acres, situated in one of the best location. Spacious homes in Bangalore with best in class facilities and services. Well ventilated and naturally lit homes which provide a healthy lifestyle to the occupants. Provident Welworth is located in one of the premium location where you can buy home in Bangalore, this locality is rapidly growing every day, well known educational institutions, health care units, and shopping malls are there in the proximity in addition to this resort, Spa, restaurants are there in the vicinity. You can reach Kempegowda International Airport in just a few minutes. Well connected by different modes of transportations. 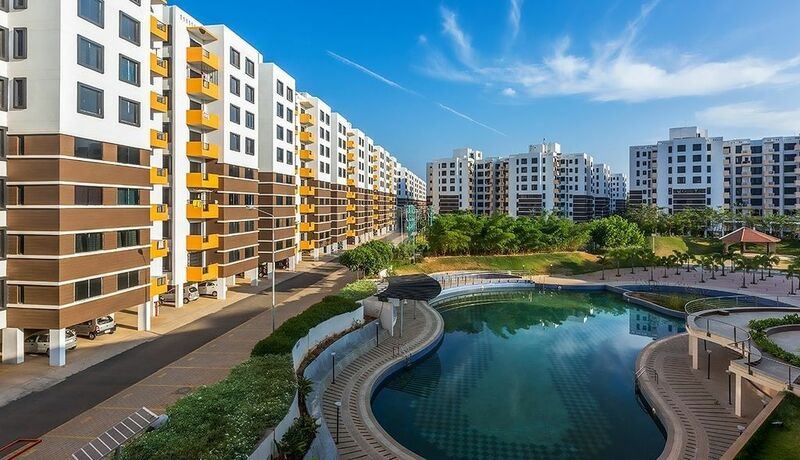 Along with all these advantages and 3BHK apartments in Yelahanka, Provident Welworth offers modern day amenities, some of them are Basketball Court, Tennis Court, Skating Rink, Table Tennis, Gym, Yoga/Meditation Hall, Jogging Track, Badminton Court, Visitor's Parking, Shopping Area, Swimming Pool and parking. RCC framed structure. The Apartments are spread over from the Stilt floor to the G+7 floors. Lift and staircase in each block connect from Stilt to all upper floors. 2.2.3 All Interior Wall-These are plastered and painted with Oil Bound Distemper.These are plastered and painted with Cement based paint. 2.2.5 CEILINGS-Plastered and painted with Oil Bound Distemper. 3.1 Doors – Main Door:Hard wood/Sal wood frame with HDF door shutter/Flush shutter, with good quality hinges, tower bolt, lock and security Eye. Other Doors-Hard wood/ Sal wood frame with HDF shutter/ Flush shutter, tower bolt lock with good quality hinges. 3.4 PLUMBING /SANITARY FITTINGS:Glazed louvers with provision for exhaust fan. 3.4.1 Toilets:Good quality white shade ceramic ware for water closets and wash basins with bottle trap/pedestal.EWC includes seat cover and PVC flushing tank. Good quality CP fittings will be provided. 3.5 ELECTRICAL:ISI quality cables using copper wiring through PVC conduits concealed in walls and ceilings. 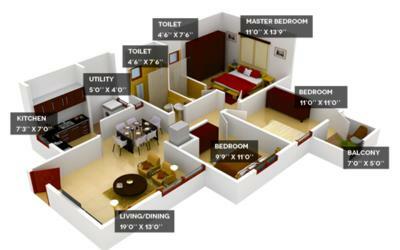 One light point, fan point, power point in each room, call bell point in dining area, one AC point in master bed room and exhaust fan point provision in kitchen & toilet will be provided. One Geyser point in one Toilet of 2 BHK and one each Geyser point in both The toilet of 3 BHK will be provided Each Apt to have 3000 watts for 2 BHK, 5000 watts for 3 BHK power supply. 3.6 TELEPHONE POINTS:Each apartment will have one outlet each in living or dining. The telephone wiring is through concealed conduits. 3.8 ELEVATORS:One lift for each block. Provident Housing Limited is a 100% subsidiary of Puravankara Projects Limited and one of the real estate majors of India. The Sunworth built with 2,3 BHK Apartments in Mysore Road developed with BDA Approved layout and is a ready to occupy project with built to satisfy the first-time home buyers. Vriksha By (Tree) is an under-construction project by the builder in Magadi road built with luxury tucked with lush green gardens all around, you will always miss home when your away. Provident Housing Rays Of Dawn is another under construction project by the builder and has been creating a warm vibe among the users of the locality with 2, 3 BHK apartments in Mysore road one of the localities with close proximity to all the surrounding areas.